Flavorful and juicy homemade shredded chicken tacos are an easy weeknight dinner that the entire family will love. 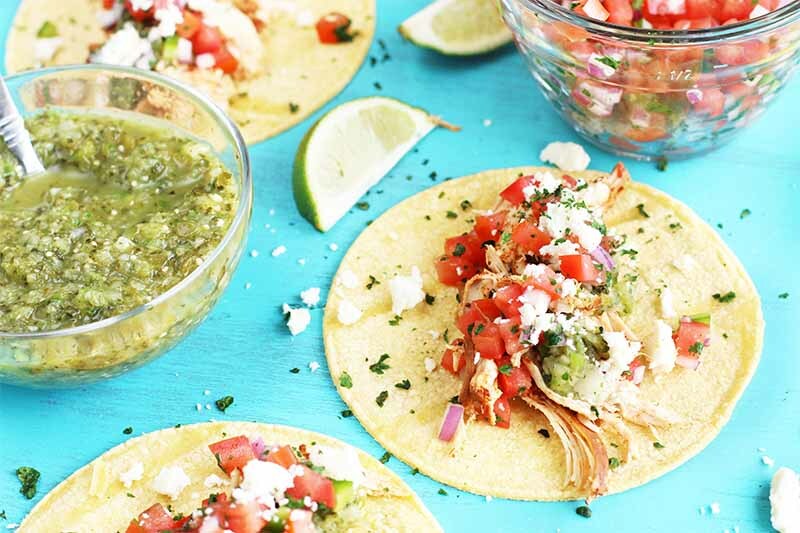 Served with roasted tomatillo salsa verde, pico de gallo, and queso fresco, you get all the classic flavors, straight from the slow cooker or Instant Pot. Read more to enjoy a taco night, done right. 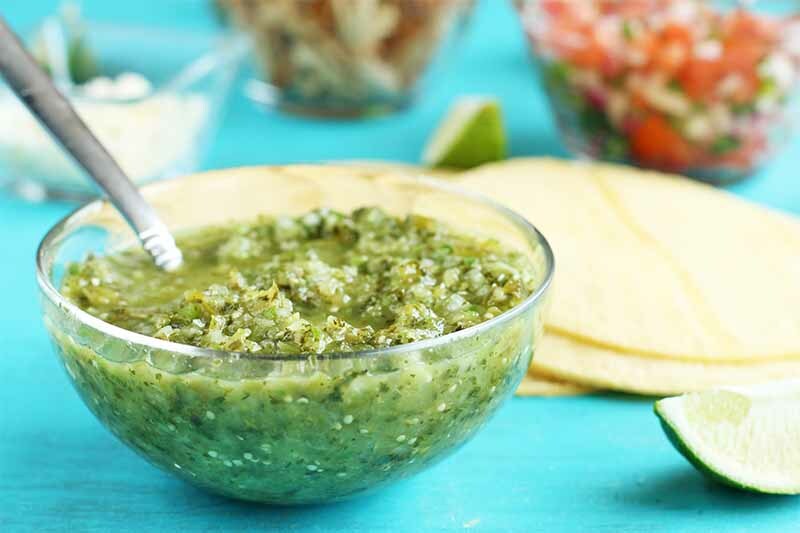 Do you love that green salsa that’s served at decent Mexican restaurants, but don’t know how it’s made? It’s surprisingly quick and easy using our recipe. Get the inside scoop now. 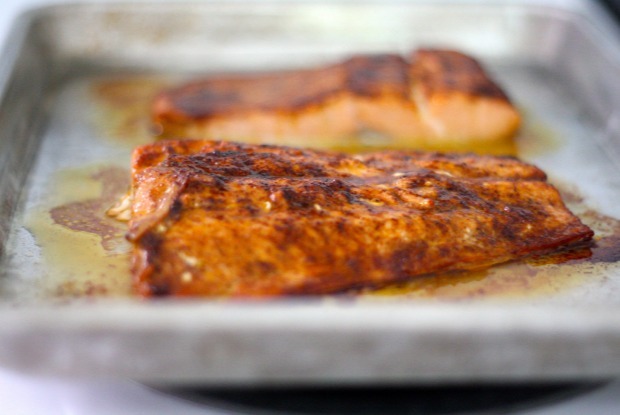 A spice-rubbed, broiled salmon tacos recipe, along with the killer avocado-tomatillo guacamole that goes in them (and which is worth eating on its own with a big spoon! ).